Since the rebirth of the Mission: Impossible franchise with Brad Bird’s Mission: Impossible – Ghost Protocol, the series of high-octane action films has been defined by the stunts they’re able to pull off. In Ghost Protocol, it was that ridiculous Dubai sequence, in Rogue Nation, the opening with the C-17. 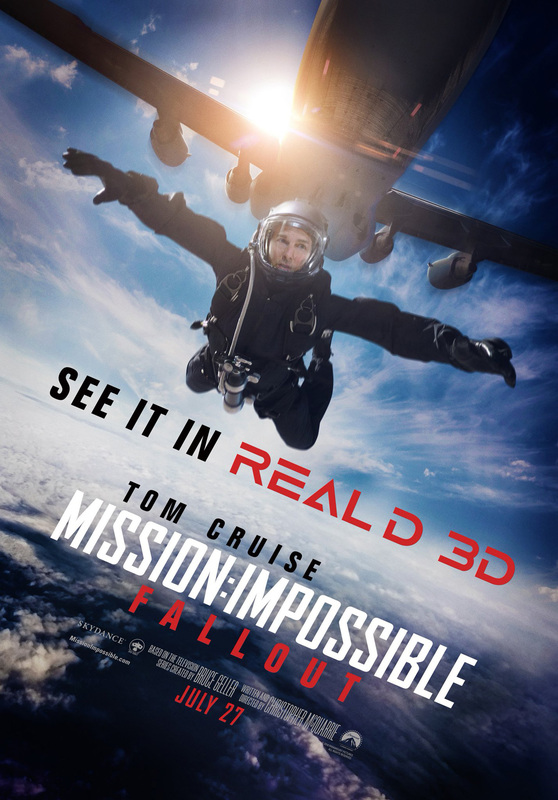 Now, Tom Cruise has set his eyes on something much different and higher, a Halo jump. If you aren’t familiar with a Halo jump, don’t worry, the studio has released a featurette that goes completely in-depth on the stunt. My takeaway? Tom Cruise is a nut ball. What this guy does year-in and year-out to give us the realest experiences possible for film is unlike anything we’ve ever seen. And what’s so special about Fallout specifically is there looks to be two of these massive stunts, with the helicopter sequence from the trailers being the other. I can’t describe how excited I am for this film. This franchise has become one of my favorites, because it gives us a real, grounded take on action. With giant blockbusters and superhero team-ups releasing at a rapid pace these days, it’s extremely refreshing to walk into a theater knowing that everything that could possibly be done without CGI or any kind of special effects, will be. It also helps that the movies are insanely awesome at the same time. Just saying. Check out the new featurette below and after you do, leave your thoughts in the bts footage and movie overall in the comments! Are you just as excited as I am? What’s your favorite stunt so far? Do you get pumped for these movies like I do? Also starring Rebecca Ferguson, Henry Cavill, Simon Pegg, Ving Rhames, Angela Bassett, Vanessa Kirby, Sean Harris and Alec Baldwin, Mission: Impossible – Fallout is released on July 27th.